http://etheric.com/nassikas-thruster-II. This is predicted to produce over 30,000 times more thrust than the version discussed here. 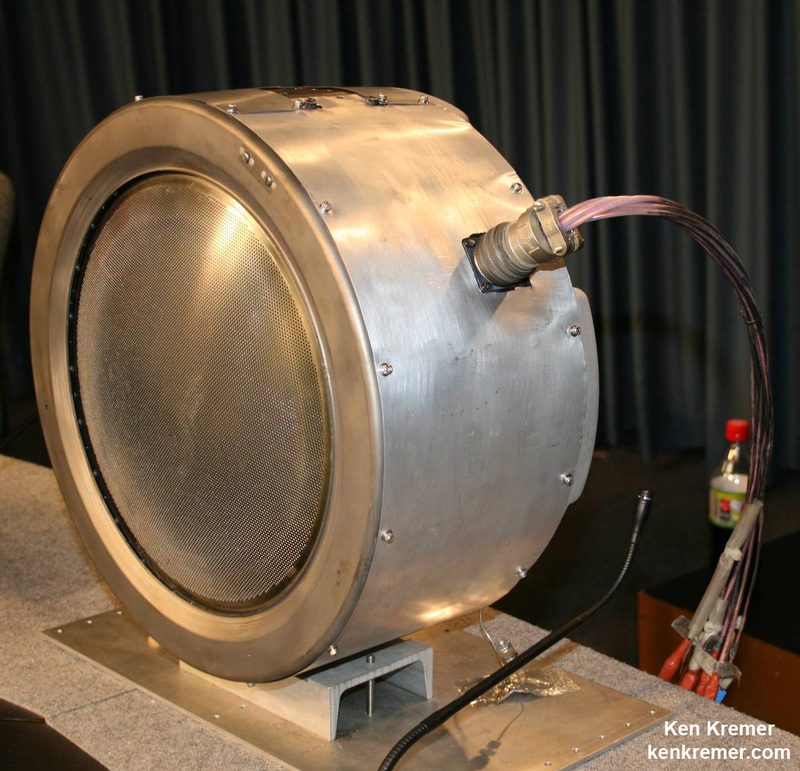 The Nassikas Superconducting Thruster. 1) Conical high-temperature YBCO superconductor. 3) Permanent magnet 0.5 T.
Basically the thruster is propelled by unbalanced forces due to the effect of the magnetic field on the nozzle. Superconductors expel magnetic field lines and as a result an external magnetic field source will exert a force on the superconductor, the so called Meisner effect. The field lines are more concentrated within the throat of the nozzle which push the nozzle in the convergence direction, whereas the field lines impacting the outer surface of the nozzle and pushing in the opposite direction are much weaker. The net effect is that the nozzle has a net propulsion force. Maglev trains levitate on the basis of the Meisner effect. 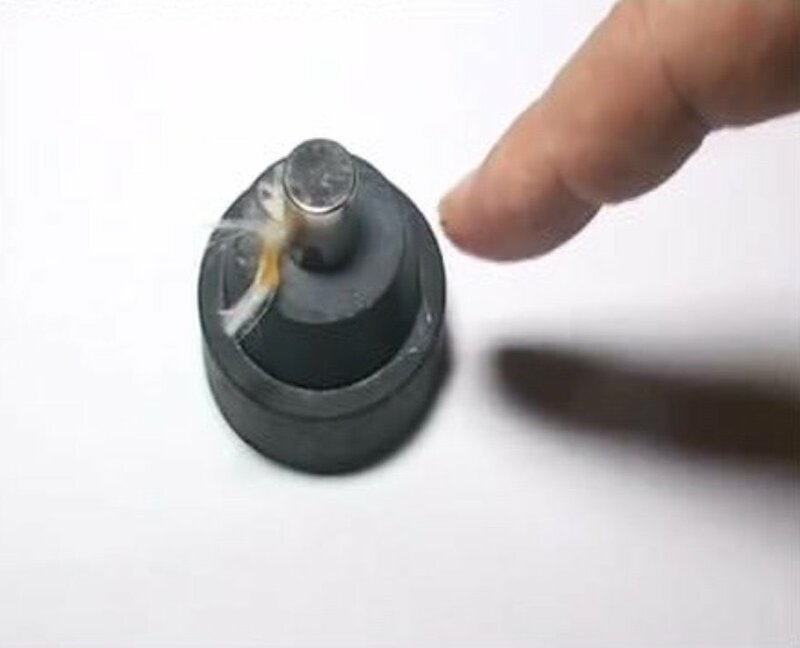 In maglev, the magnet is attached to the ground and levitates the superconductor. In the Nassikas thruster, the magnet is attached to the superconductor and propels itself and the superconductor together. Of course, this throws Newton’s third law and the law of energy conservation out the window. 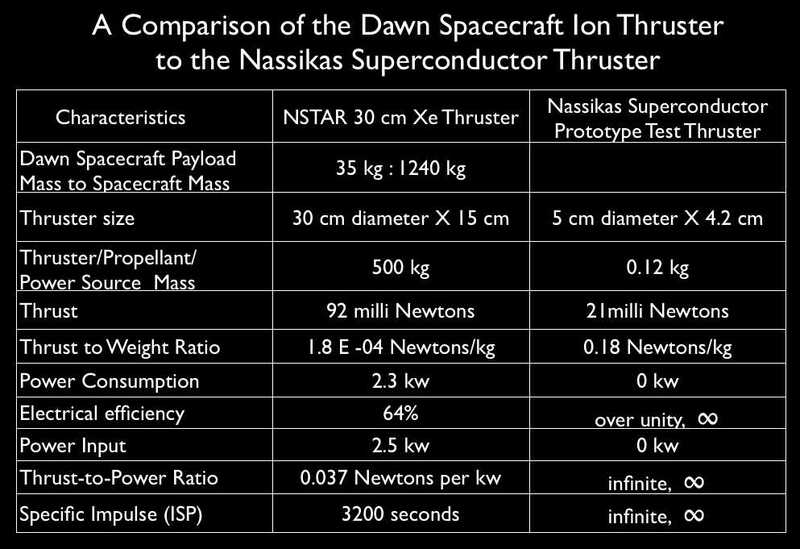 Five Nassikas thrusters weighing a total of 0.6 kg would be able to accelerate the 35 kg Dawn spacecraft payload 35 to 3500 times faster than the spacecraft’s current NSTAR 30 cm ion thruster. 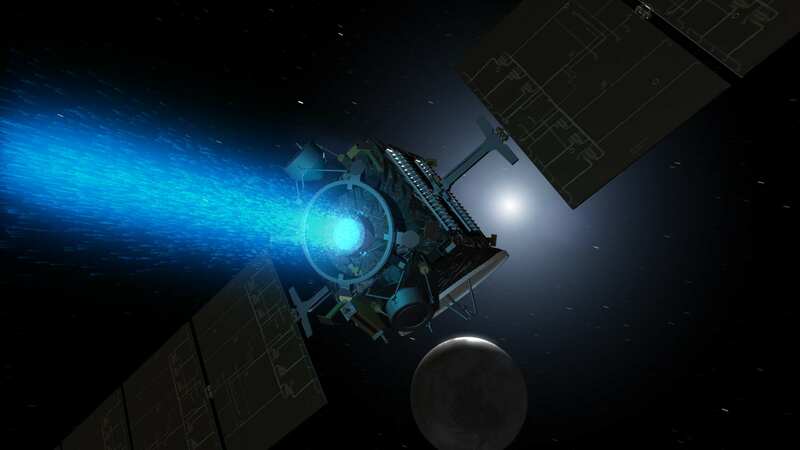 So instead of using a 1.2 ton spacecraft that takes 7.5 years to reach Ceres, as in the Dawn mission, a 40 kilo spacecraft could be designed that would accelerate to a cruising speed of 140 kilometers per second in less than one week and make the entire journey in just two to four weeks. 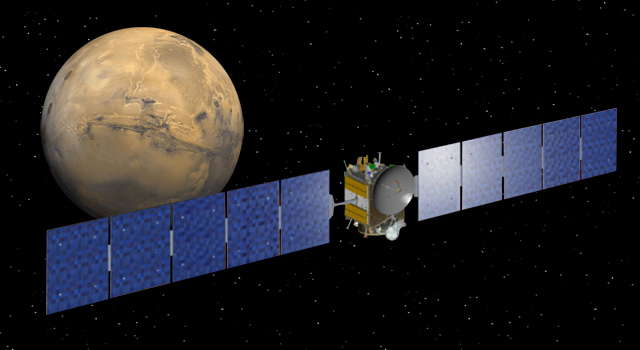 Whereas the Dawn spacecraft will soon run out of fuel, a spacecraft powered with Nassikas thrusters could continue its journey to the outer edges of the solar system and beyond. With a Paul Brown resonant nuclear battery to power its telemetry, the spacecraft could fly out of the solar system and journey to the nearest star system to eventually relay back information. A 40 kilo spacecraft propelled by a force of 1 kilogram would accelerate at the rate of 25 cm/s2 and would reach a speed of 79,000 km/s (0.26 c) after 10 years. Then cruising for ~2 years before beginning its 10 year deceleration mode, by 22 years it would have traveled 4.4 light years, enough to reach our nearest star, Alpha Centauri. Want to get there quicker? Add more thrusters. The Nassikas thruster is currently available for investors interested in aerospace development. A thrust demonstration experiment has been witnessed by physicists at two Greek universities and physicists from the University of Cambridge, including one Nobel Laureate. All agreed that the thruster nozzle develops a thrust towards its apex. I have recently discovered your material and have been most intrigued by the research you present on the Nassikas thrusters. I would love to have more information on how to repeat the experiments conducted in Athens. I would very much appreciate your insight or to be directed to the appropriate sources. For now we are concentrating on the version II thruster. Several have said they would like to duplicate the version I pendulum experiment. However, there are some details about how to do the experiment that we are not prepared to disclose at this time for reasons of potential patentability. In the near future we will fully disclose on this so that others can duplicate the experiment which is very important from the standpoint of challenging certain laws of physics which are mistakenly taken to be universals. Since Dr Laviolettes appearance on Richard Hoagland’s show a few weeks ago, I’m a firm believer in this device. The sheer simplicity of the device brings a few caveats to mind. One being that those in the world who are hell-bent on causing mayhem, will use this for a system to propel weapons at their enemies. It’s such a shame that many advances have been suppressed for that very reason. Mass production would be very cool indeed. Putting cheap, clean, efficient energy into the hands of everyone seems like such a no-brainer. No longer being a slave to fossil fuels. Commonwealth Edison could shut down their reactors. No more reliance on power grids. But as some have already stated, those who make their money from these old technologies aren’t going to let go easily. They will go down kicking and screaming. I hope that Nassikas will get this into the hands of the people and not allow this to be suppressed before it can be realized.Therefore, large investors, no matter how benevolent, should be avoided. Crowd sourcing and making it open sourced should be the goal. Dr. Paul, have referred you and Prof. Nissakis to others, wish I could participate. My art/science exhibit “Gallery of Clean Energy Inventions” displays summaries and images of 43 generators, 18 advanced self-powered electric vehicle innovations, 25 radioactivity neutralization methods, 22 space travel innovations, 10 technical solutions to water shortages, and my own design of a torsion field school network. The exhibit file is linked at padrak.com/vesperman and commutefaster.com/vesperman.html. I will try to add the Nassikas superconducting thruster to the space travel innovations display. Has there been any attempt to SPIN it and see if there any difference? No, as far as I know Dr. Nassikas has not spun the thruster. I don’t think it would create any worthwhile effect. When Townsend Brown actually spun his asymetrical capacitor the result was classified. Oh, you were referring to TT Brown’s device. I know of no one who has tried this. It should be an easy experiment to try. I would use a barium titanate dielectric rod, maybe 15 cm long with spherical electrodes at each end and attach it to an insulated rotor that could be spun up with a motor. The main problem would be how to feed 50 to 100 kv to the rotor while it was spinning. While spinning, one would also need to repeatedly charge and discharge the capacitor in order to maintain its electrogravitic effect. So this would be a challenge. One could check its gravity screening effect by placing a weight on a balance either above the rotor or below the rotor. 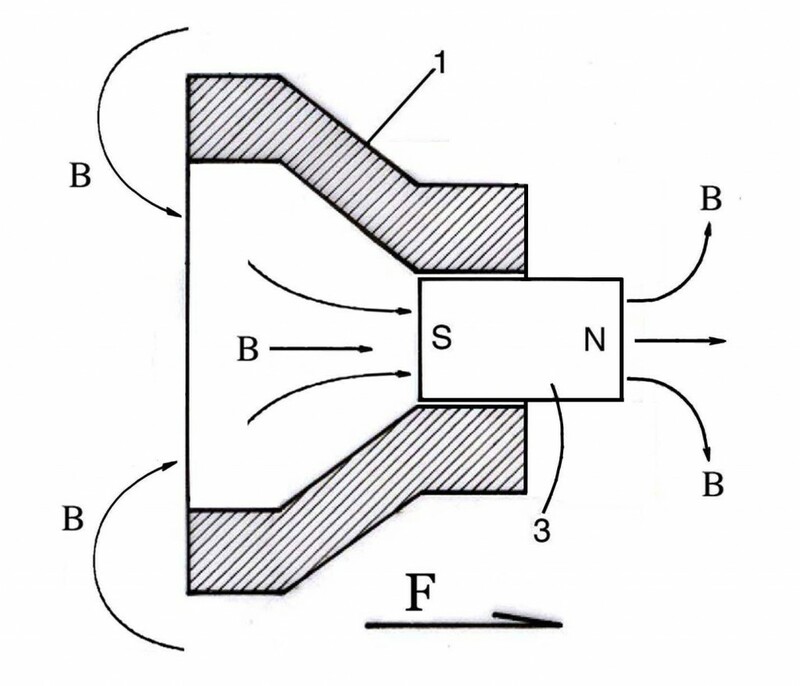 The component you need for the Brown experiment is called a rotating electrical connector. The old version is called a slip ring. Incidentally, I believe that the Alien Reproduction Vehicle, drawn and described by Mark McCandlish, developed such a rotary electrogravitic field by properly phasing an array of electrogravitic capacitors situated in the vehicle’s base. I discussed this in the talk I gave at the 2015 Secret Space Program conference. Thank you for your insight into everything. I’m a fabricator and a very good one. I have access to wonderful tools not least of which my mind. Maybe will do this next year. Right now time is taken up preparing to test the second version of the Nassikas superconducting thruster. Please do keep my offer in mind. I work for a motorcycle manufacturer. We currently make a fully machined aluminum bike. Please see the “P-51 Combat Fighter”. I’m the head of fabrication there. We have a complete design facility and access to the finest processes money can buy. It would be a huge honor to wield all of this for you. In fact, I wonder if you might grant a phone meeting with the founder and CEO of my outfit when the time presents itself? If possible please respond directly via email. What is the composition of the material used to create the thruster? How hard is it to obtain this material? What would be the cost of the material to make a larger unit? What would the thrust produced from such an item? 2 grams thrust is less than the weight of half a sheet of paper. No way to even overcome the friction of the best bearing let alone produce power. The application discussed here is for space propulsion not energy production. Is this then a perpetual motion device? And what about “the quantum vacuum,” how is this related to this form of propulsion. Yes, it causes motion with no required extra energy input other than what it already draws from the ether (“quantum vacuum”). Since the etheric energy source (prime mover) remains hidden, it appears that there is no energic source when actually there is. The explanation according to subquantum kinetics is as follows: The physically observable actuator is the magnetic field which derives its existence from spin alignment in the permanent magnet. The spin of the electrons (vortical movement of the ether) in turn occurs due to the continual radial/vortex movement and diffusion of etheric reactants: X-ons and Y-ons between the shell and core forming the electron soliton space structures. The continual generation and removal of these reactants is animated by the underlying ether reaction processes that sustain all physical form. Hello sir. Have your experiments controlled for the force generated by the nitrogen gas escaping as it boils away? Yes, after the superconductor has cooled in liquid nitrogen we have removed it and suspended it in air. It still produces a thrust toward the nozzle’s narrow end. As the superconductor warms above the critical temperature and becomes non superconducting, the effect disappears and the pendulum hangs plumb once again. To those of you who can’t think outside the third law of Newton. Forget it, the field actually cancels its self out but leaving a residual force from doing so resulting in a force movement, very clever!!!!. No the field does not cancel itself out. It just produces opposing forces which are unequal and which result in a net residual which propels the device. Very interested in this! What would you envisage a prototype to cost, I believe this has an even more important roll perhaps one you have not thought of. If this works as the theory indicate I have serous investors that could make it happen very quickly. Please contact me. It would cost ~4000 euro in custom made form. Mass produced would be cheaper. 4000 euros custom made? I almost have those savings id seriously consider Dr LaViolette giving you it to make a Nassakas engine, but to harness it for home free energy use if this is possible. This is a serious offer, if I can raise the money. In my heart, I have not a drop or shred of emotion wanting to profit from any of this. I don’t care. I care about Townsend Brown energy out there for the world. Therefore DrLaviolette. You seem to know a lot about how electrogravitics works. Dr laviolette I have a few thousand savings, and I could raise more. With youtube watching us, I could help you build a T Townsedn Brown free energy device. Im not an engineer, but I would be a very good assistant and helper with logistics and problem solving. Thank you for your offer. To be honest, I have no workshop other than my garage. The Brown vertical thruster would be an interesting project to work on if someone wanted to volunteer. Currently, I don’t have the time myself to work on this on my own, even though I would like to. I have no paid assistants to instruct to carry out such a construction. But it would be a very worthwhile project. Am currently devoting spare time to raise industry interest in the Nassikas thruster. Since its only relative pennies thousands, I don’t imagine youll have trouble raising money for the Nassikas thruster. its quite incredible though. I don’t understand why you don’t have benevolent millionaires, or billionaires, who aren’t satanic, and are caring individuals. Beat down your door Dr Laviolette and give you whatever you need to build Townsend Brown machines. No investory however should want to do this to get rich. This is the whole point of Tesla Free Energy. There is simply abundance, comfort, supply for everyone for free. By the way, the term ‘Free energy’ is surely a misnomer… It’s only a perception of ‘free’ based on the supposition that we provide no work to attain it. In reality, we have just discovered a new energy gradient, or rather a way to imbalance it in our favour. What types of test conditions were used to test the thrust? what controls were used to rule out sensor error? Also, please provide the equations and theories that explain the function of thrust generation for this device. The thrust was tested using a simple pendulum rig. The “sensor” used was the eye to check the deflection of the cord suspension against a plumb hung in the line of sight. Dr. Nassikas provides equations to explain the thrust using an analogy to fluid flow through a nozzle. He represents the magnetic flux as analogous to a flowing fluid. When I get a chance, I will post a link to his paper. What a break through, this is really fantastic. Where can I get one of these thrusters, it would be great to play with. The field created is magnetic, hence mass is not a factor. The magnet has a small mass. I really don’t care if you believe our results or not. Apparently, you have a long learning curve ahead of you on shifting your paradigm about the reality of free energy. I can suggest my Secrets book as one possible reference. Our experiment has been observed by a Nobel Laureate who has testified that the device does produce a thrust. If the effect was not valid, I would not have made a posting about it. I have witnessed the test experiments many times myself and am convinced of the authenticity of the effect. A vacuum is not needed for our pendulum test as there are no air currents in the laboratory large enough to cause deflection. This is evident from the fact that when the superconductor is suspended in air, and has warmed up past its critical temperature, it returns to the plum position. Dr LaViolette, how does Nassikas thruster work, or how does the magnetic field effect the velocity etc.? Is there a sudden expansion of energy at the nozzle? Some explanation is given in the patent explanation. Basically it is propelled by unbalanced forces due to the effect of the magnetic field on the nozzle. Superconductors expel magnetic field lines and as a result an external magnetic field source will exert a force on the superconductor, the so called Meisner effect. The field lines are more concentrated within the throat of the nozzle which push the nozzle in the convergence direction, whereas the field lines impacting the outer surface of the nozzle and pushing in the opposite direction are much weaker. The net effect is that the nozzle has a net propulsion force. Of course, this throws Newton’s third law and the law of energy conservation out the window. I will add this explanation to the posting. And even though many voices are saying Hopegirls a lying cabal disnfo person, it may not be the case. It MIGHT be the case, its genuine. The QEG looks a bit heath robinsonish, but apparently churns out zero point over unity energy that powers a home or even 2 homes, using Tesla physics. Which leads me onto this: perhaps the Free Energy Genie, in one form or another, cannot be contained forever, even by the most ruthless means. Perhaps the secret space programme cover up, cannot be perpetuated indefinitely. Look at the gary McKinnon leak. How many more Gary McKinnons in the future?